Table Tops - Stone Yard, Inc.
Once you select the material, finish, size, shape, and thickness of your table top, round out your design with one of our handmade table edge options. Pick an edge detail that complements one of our table bases, or make your own unique match. Our premium edges, with their more intricate detailing, include an upcharge. 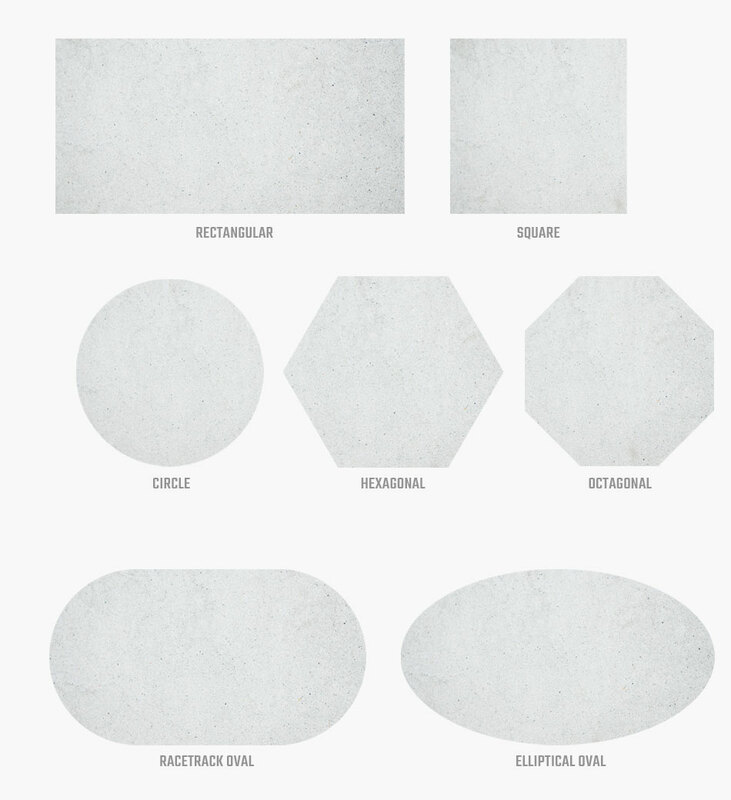 Our table tops can be made in a variety of shapes, including custom shapes. To meet the needs of our clients, our table tops are made to order in both standard and non-standard sizes. For oversized table tops, please contact us for a custom quote. We use innovative materials that are durable and lighter in weight than stone and concrete. Proprietary combination of glass fibers, polyester resins, and aggregate materials. Composite of high-quality cement, glass fibers, and other resins. Fiberglass composite base with an industrial, marine-grade, high-gloss finish. Wood tabletops are handcrafted using alder, a fine-grained hardwood with a straight grain. As the last step in the crafting process for our GFRC and Fiberstone products, we hand-apply unique finishes. These finishes are applied in layers by experienced artisans, ensuring that the finished piece is consistent in beauty and yet one-of-a-kind in detail. Our SyGlos finish is comparable to an industrial-grade finish, with an ultra-shiny, high-gloss appearance and resistance to peeling or chipping.